Crusty Oven first opened at Midview City, Sin Ming Lane. 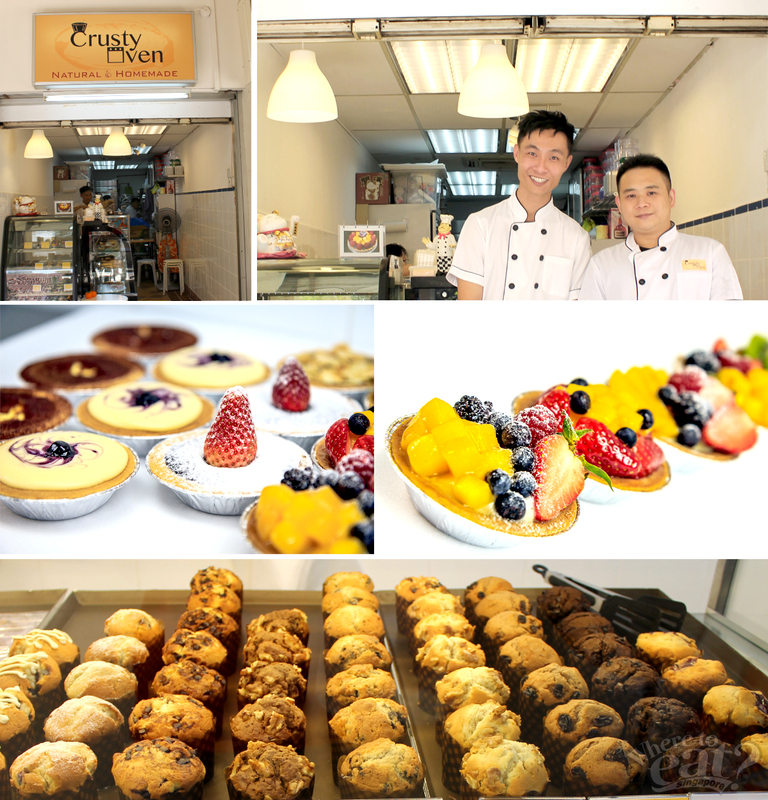 Three months ago, the bakery moved to Bishan, bringing along its patrons with them. Operated by two best childhood friends, Crusty Oven manages to deliver classic yet modern tarts that arouse the feeling of homeliness. The bakery is specialised in both sweet and savoury baked tarts, and takes pride in home-making their own crust – mixing, molding and all – using only natural ingredients. It also replaces gelatin with almond jelly, so you can indulge a little more without the guilt. Now you know why Crusty Oven easily wins the hearts of its customers and potential alike! The name says it all in Royale Chocolate (Best Seller) adorned with fresh strawberry and white dust for a royal flair. 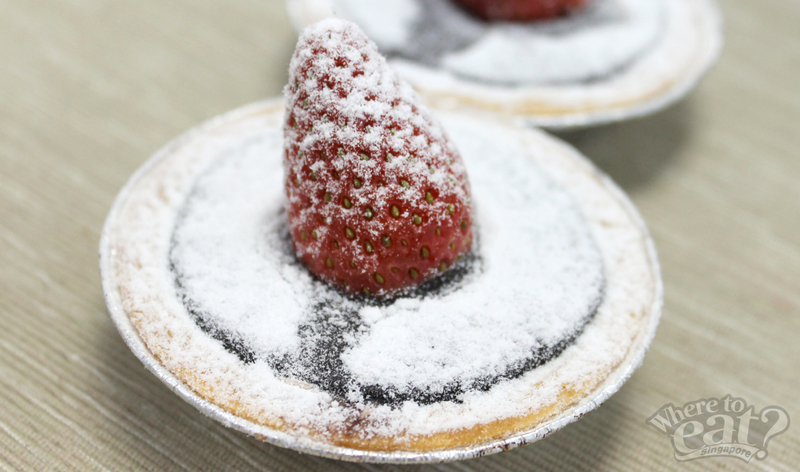 Easily the most yummy, luscious and satisfyingly decadent petite chocolate tart. Bitter chocolate lovers can also indulge in Dark Chocolate. Its moist filling is consistent in its thickness, perfect for those who love pure gooey chocolatey goodness. Even the thickness of the shells was just right to support the weight of the rich filling. 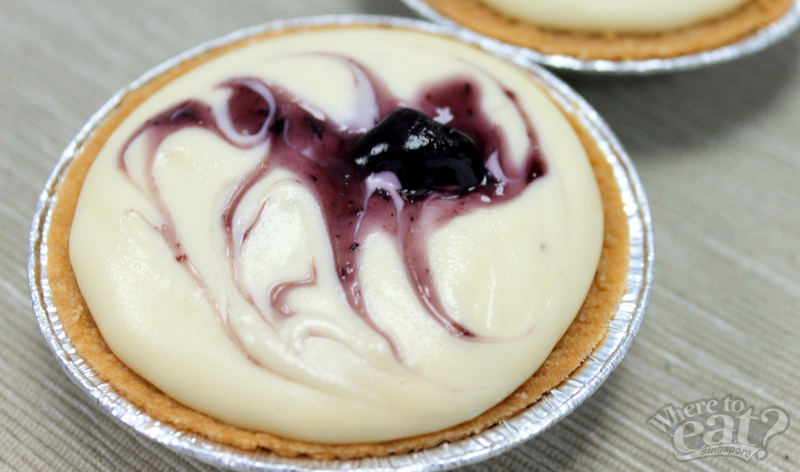 Blueberry Cheese (Best Seller) is like coffee and chocolate. Both have their own distinct taste, but can balance each other out and work together in perfect unison. The blueberry provided a little tang which blended well with the slightly sourish and creamy cheese filling. For those who dislike cheese, try the unpretentious Fresh Fruit. The combination of creamy custard, halved strawberry, blueberries, sliced mango and kiwi looks great and tastes refreshing. Sure to perk up the dullest mood or appetite. 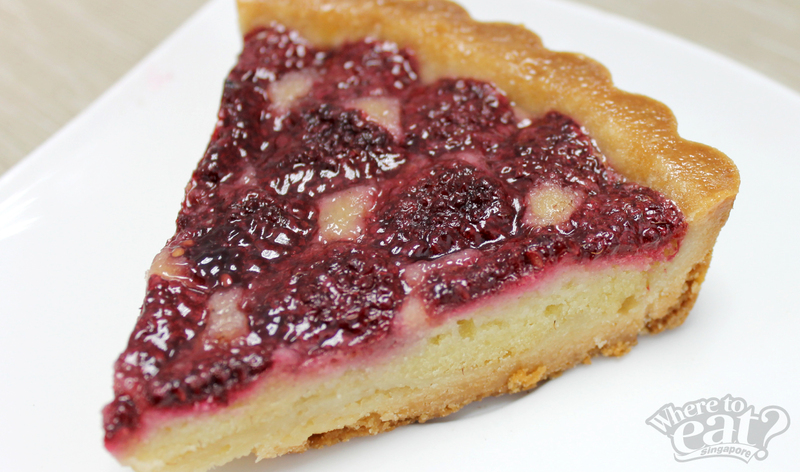 For triangular Signature tarts with thick buttery shortbread crust, try Raspberry (Best Seller). Its rich and intense flavour can easily satisfy your sweet tooth. 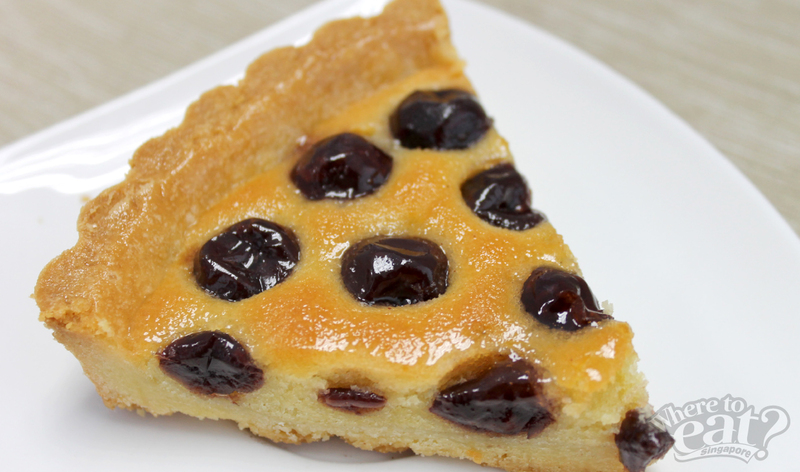 Blueberry on the other hand is most naturally slightly sourish, giving the Signature tart a slight tang. 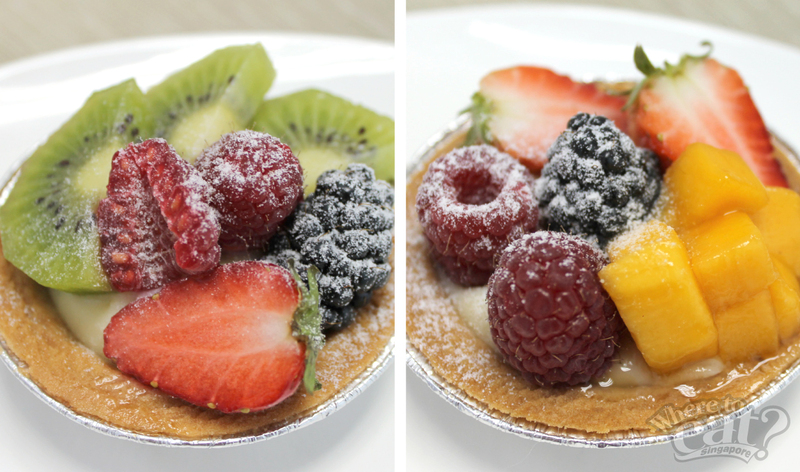 Great news is that these Signature tarts are available for order in whole too, making them great fruit cakes alternative for parties and events. Something different! More importantly, you must try Crusty Oven selection of nut tart. 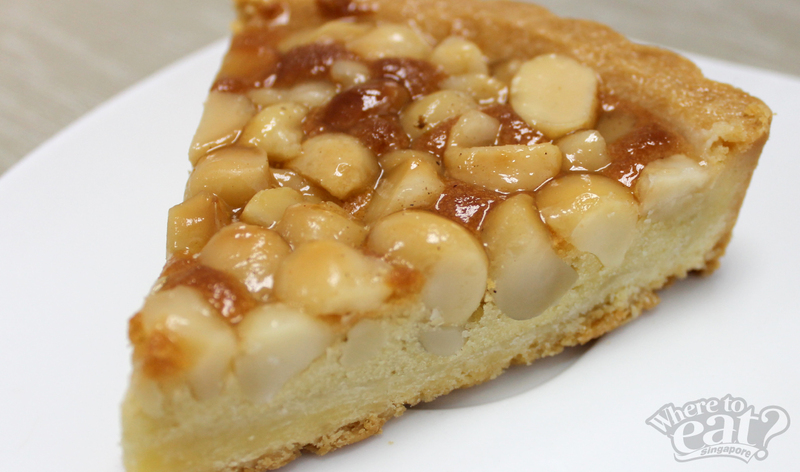 Macadamia (Best Seller) will make you go nuts, literally. The nut has a mild sweet flavour that accentuates the buttery crust. 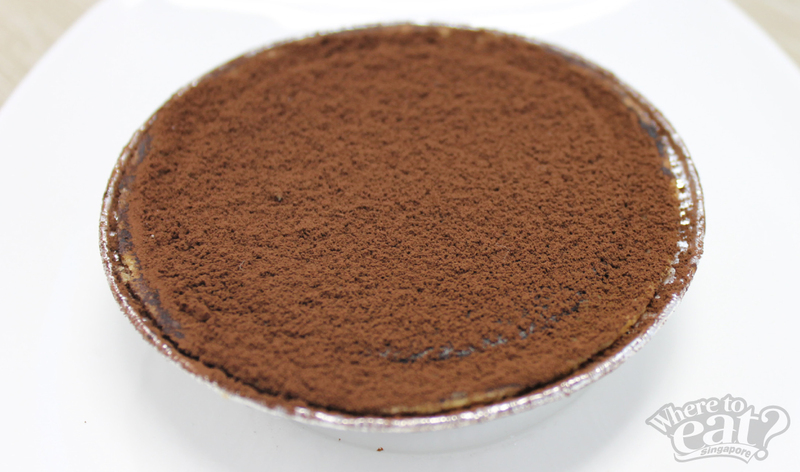 Its creamy, light texture also blends well with the moist shortbread crust. 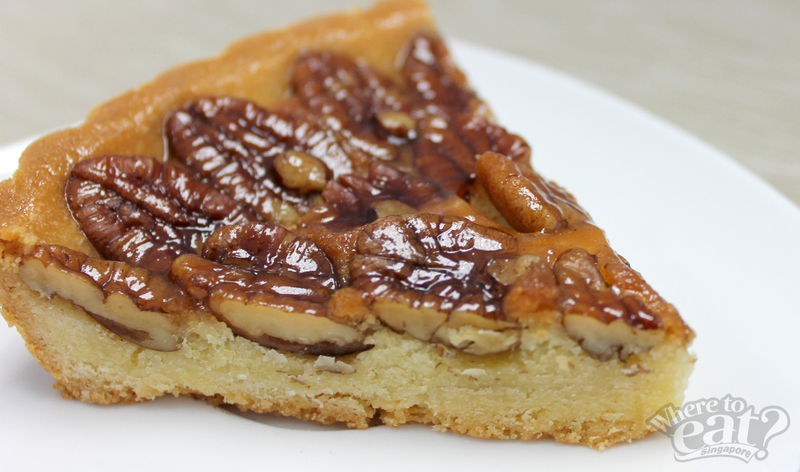 Pecan has a mild nutty flavour and crisp texture that will excite your taste buds. Now these are definitely ideal for joyous occasions with family and friends. Possibly a new family favourite too!